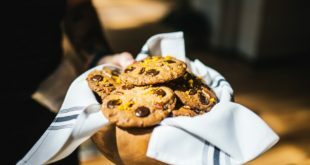 Home / Food Nation Radio News Flashback / National Popcorn Day – Is Popcorn a GMO? 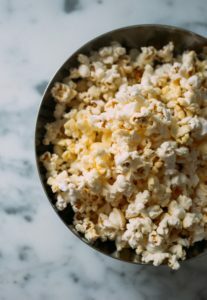 National Popcorn Day – Is Popcorn a GMO? Many people wonder if popcorn is genetically modified since 90% of the corn in the United States is a GMO. However, popcorn is different and takes several years of breeding to make it “pop”. Here’s what the powers that be had to say about it in 2012. Keep in mind that only organic produce, is free of pesticides. Whether GMO or not, it is always best to seek organic food sources these days. We love to make flavored types, whether Cajun, Asian, Indian or dessert inspired, it’s always tasty. Try making a caramel drizzle (recipe is on this site) for something different. You can even just use a little homemade chocolate fudge topping and toss for a fantastic salty and sweet treat. Just remember to always toss in a little salted, organic butter first while it’s still hot, then add your flavors. Your family will love it. First, listen to the audio below for the details on why popcorn is (as far as we know) not a GMO. It’s very difficult to breed a form of corn that will pop at all and takes several years and tries to do it. That’s some dedication, don’t you think? There’s nothing more American than popcorn and a movie. Okay, maybe some wireless surround sound and a Smart tv with enough USBs would be an added bonus. 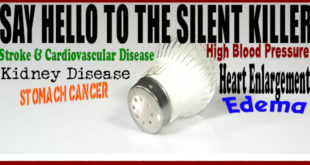 IS YOUR SALT SHAKER KILLING YOU?